When the iconic Sanrio character Hello Kitty comes together with fan favorite Uglydoll, fun things are sure to happen! We are pleased to share "Hello Kitty-Trunko". When the iconic Sanrio character Hello Kitty comes together with fan favorite Uglydoll, fun things are sure to happen! This is a 7-inch soft purple plush Hello Kitty dressed up as Trunko. As Hello Kitty says "You can never have too many friends!" this time she is leaving for adventure with her cuddly new Uglydoll pals. Sanrio and Uglydoll have joined forces to bring you a new universe, where celebrating who you are inside is the new beautiful! Hello Kitty met Trunko, and Trunko is all about fun, but with you along for the ride, it's like fun x 1000. Dude, that was like really fun! 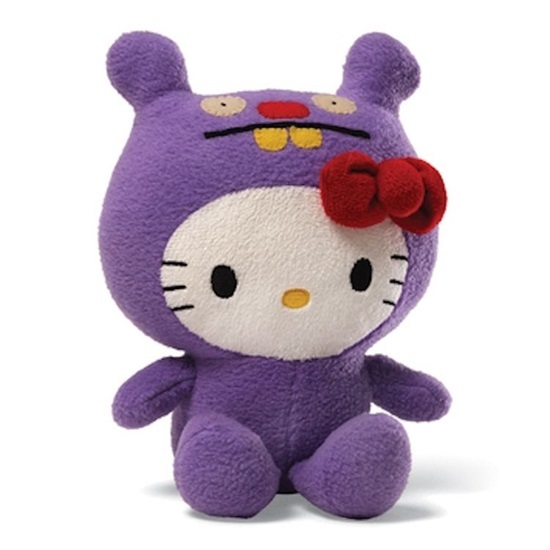 This is a special limited edition Hello Kitty Uglydoll, and it is good for ages 1 and up!